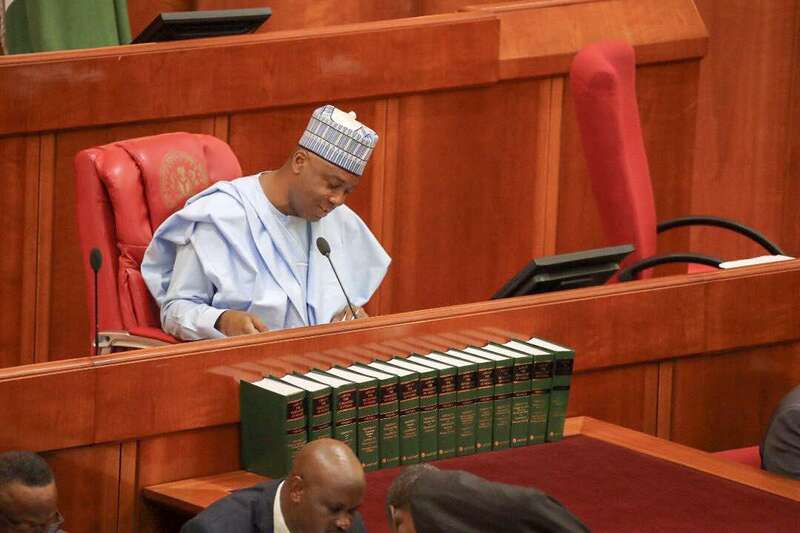 The Nigerian Senate passed the Report of the National Oil Spill Detection and Response Agency (NOSDRA) Act 2006 (amendment) Bill, 2018 (SB. 557). The Report, which was presented by the Senate Committee on Environment, chaired by Senator Oluremi Tinubu, was read for the third time in the upper legislative chamber. Speaking on the passage of the Bill, the President of the Senate, Dr. Abubakar Bukola Saraki, who also served as the Chairperson of the Senate Committee on Environment and Ecology in the 7th Senate (2011 to 2015) said: "Thank you for passing this very important Bill that will go a long way in addressing oil spillages. The focus of this Bill is to ensure that we prevent, as opposed to chasing culprits after the incident has happened. "In doing this, we will inculcate the habit of adequate prevention and control of oil spillages. This is a very good development for the environment," the President of the Senate said. The NOSDRA Amendment will also address any kind of restriction and ambiguity in the Agency's mandate. This will help to ensure that there is no ambivalence in the agencies mandate. Additionally, the NOSDRA Amendment Bill will give the agency the requisite capacity to regulate the activities of the operators as it affects the environment. Copyleft: An Anti-Copyright Protection Concept? One Side Of A Story | Kayode Omosehin Esq.